I Had a Brother - Suicide.org! Rebecca Fitzsimmons Vaughn lost her brother, Matthew Fitzsimmons, to suicide on November 14, 2007. To Rebecca, Amanda, and the entire Fitzsimmons family, I am very sorry for your loss. Matthew is now one of the greatest angels in Heaven. I had a brother whom I loved very much. He was my only brother and I admired him in many ways. I had a brother who enjoyed music, playing cards, being with friends and his family. He was tall, handsome, and very intelligent. I had a brother who cared about others, who tried very hard to please them. I had a brother who worked tremendously hard to move quickly up the ‘corporate ladder.’ He strived to complete each task to perfection. Those who worked with him raved about his high performance. I had a brother who admired his father greatly. My brother became an accountant like my dad. My brother bought furniture and oriental rugs that were similar to my dad’s style. I had a brother who carried a lot on his young shoulders. I had a brother who had a big heart. I had a brother who was never satisfied with what he had accomplished. He was not satisfied with many areas in his life. I had a brother who secretly suffered from unbearable depression that worsened with lack of sleep and heightened stress. Yes, I had a brother. His name is Matt. He’ll always be my brother, my only brother. I wasn’t as close to him as I should have been. I didn’t call him often and I choose not to get in the middle of his problems, some of which became apparent to me during a visit to his home. The truth is I didn’t know. The problem is that I didn’t know. I pray that he will forgive me. I’m forever sorry, dear Matt. I’m forever sorry. I didn’t realize how much you were suffering, how life was becoming too much to deal with. 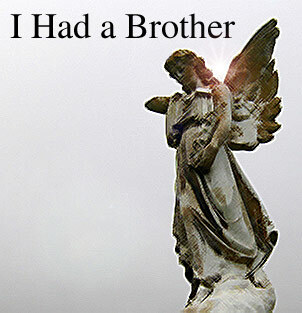 Yes, I had a brother and I will never forget him. With love that I wish I had expressed a very long time ago.